In December 2018, IRS stated that Telsa sold more than 200,000 plug-in electrical vehicles in the third quarter of 2018. 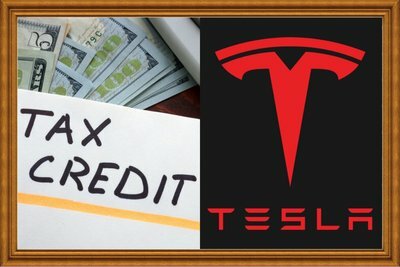 As a result of this event, as required by law, the $7,500 tax credit for Tesla plug-ins bought in 2019 will be phased out in stages. For purchases made after December 31, 2018, the credit is reduced to $3,750, followed by a reduction to $1,875 for Teslas acquired after June 30, 2019. Other vehicle credits are still available for buying qualified vehicles that meet the IRS’ standards. Tax Cut or Tax Increase? The Tax Policy Center estimates that about 65% of filers will get an income-tax cut for 2018, while about 6% will get an increase. 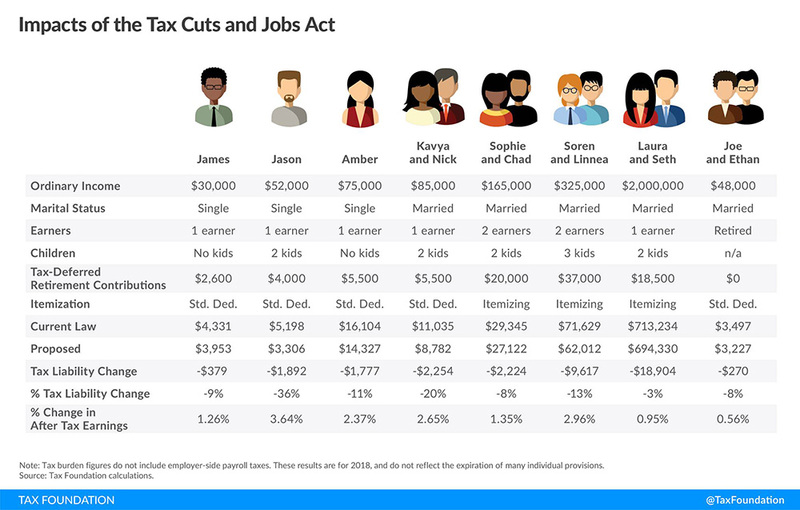 The difficult part in knowing if you get a tax cut or a tax increase is that you really have to run the same income through the 2017 tax law and 2018 tax law to compare apples to apples. We ran this calculation for a high income earner (someone not in this 65% tax decrease group, W2 income earner) and the taxpayer will be paying $111 less under 2018 tax law vs. 2017 tax law. Now here’s the tricky part, it appears the taxpayer is paying a substantial amount less in tax based on the effective tax rate (total tax divided by taxable income), but that is because Congress has changed both the numerator calculation (total Federal tax) and denominator calculation (taxable income). Using same income in 2017 vs. 2018 for this scenario, the effective tax rate goes from 32.01% in 2017 to 28.47%. The effective tax rate shows a significant (11%) tax decrease, but that decrease in rate is not the reality for the taxpayer. Tax only decreased by $111 in 2018 compared to 2017. The real percent measurement would be to divide total tax by AGI for the same income for the 2017 tax law vs. 2018 tax law and that percent goes from 26.4740% for 2017 to 26.4584% in 2018, which is that slight $111 decrease the taxpayer received under the new tax law. The only way to know for sure if you are getting a tax cut vs. tax increase is to run the same income under both the 2017 and 2018 tax law. The next best measurement would be to divide total tax by AGI (if not a business owner) in both years with the different income per the tax returns, but that will be slightly skewed with income being different in each year. However, it’s a more honest measurement than the usual tax effective rate calculation that uses taxable income. As we quickly approach the New Year, I wanted to check in with you to see if you had any tax questions for 2018 or 2019. The new Federal tax bill became mostly effective on the first of this year and you can read about the changes in the below 2 below blogs. • For individual taxpayers; the rates have decreased for mostly all, standard deduction is now $12K single/$24K married, state taxes/real estate’s tax is capped at $10K, the income limitation to claim the child tax credit has gone up substantially and the credit has doubled to $2K per child, the alternative minimum tax has been substantially sidelined, and unreimbursed business expenses and all 2% itemized deductions have gone away for Federal (stays for CA). • For C-Corporations taxpayers; the tax rate is 21% for 2018, C-Corp AMT has been repealed, bonus depreciation is 100% on new or used fixed assets, Sec. 179 expense deduction is now $1M, no more 50% deduction for entertainment (50% deduction still applies to meals), and sedan purchase vehicle depreciation limits have increased to make them much more competitive with leasing sedans. • For S-Corporations, Partnerships, Schedule C sole proprietor, Schedule F farming taxpayers; new 20% deduction on positive qualifying income is a significant tax change and a deduction that gets more complicated to calculate as the income increases. New tax law changes that also impact these taxpayers is the bonus depreciation is 100% on new or used fixed assets, Sec. 179 expense deduction is now $1M, no more 50% deduction for entertainment (50% deduction still applies to meals), and sedan purchase vehicle depreciation limits have increased to make them much more competitive with leasing sedans. • Adjust wage or withholding up or down and/or max out pretax payroll items (retirement contributions, HSA contributions, employee reimbursement, etc.). W2 withholding counts as the funds being paid in evenly throughout the year, even if comes in at the end of year (i.e. can help reduce estimated tax payment penalties). • Exercise stock options or maximize employee stock purchase plan. • Ensure you are maxing out the 20% flow through business deduction, wages sometimes need adjusting. • Max out IRA’s, but you do have until 4/15/19 to max out. • Fund company retirement plans; 401-K, SEP-IRA, Simple IRA, defined benefit plans, etc. Some contributions have to be done by 12/31 and others can be done by the tax return deadline. Don't forget about the catch-up contributions for those 50 or older. • Analyze capital gains or losses and see if it is prudent to harvest capital gain or loss depending on your situation. Keep in mind that capital losses offset capital gains and if a net loss, only $3K of capital loss is deductible per year. Losses can be disallowed under the wash sale rule if repurchased within 30 days, but you could re-purchase after 30 days or make similar industry or mutual fund investment within the 30 days. • Solar installed by 12/31 for 30% credit, business too. • Pay in 2018 estimated tax to reduce balance owed penalties. • Purchase of fixed assets (equipment, vehicle, leasehold improvements, etc.). • Payment or prepayment of property taxes or mortgage interest. • Payment of bonuses for employees or to zero out a C-Corporation. • Closing on purchase or sale of business on 12/31 or 1/1. 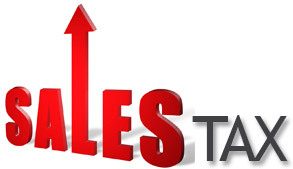 • Selling assets on installment sale method. • Creation of new entity in 2018 or first thing in 2019. • Analyze benefits of filing S-Corp election (especially under new tax law) and file the election. • Gifting appreciated assets to children with low income who are not subject to the kiddie tax, will be taxed at a 0% capital gains rate. Also, gifting dividend assets to children in lower brackets can provide benefits. • Closing out an entity or bank account. • Filing back tax returns. • Most important of all, taking that much needed vacation:)!!! Merry Christmas, Happy Hanukkah, & Happy New Year! A client emailed me wanting to know the “changes in the tax bill that passed, both positive and negative, without all the political mumbo-jumbo.” I imagine many of you feel the same way, so that is what I’m going to attempt to do. I must warn you, this blog is long, but comprehensive. To be clear, almost all of the new tax bill is effective for the 2018 tax year. See the effective date chart further down that visualizes the effective date of the more popular provisions. The new tax bill impacts each and every taxpayer in a different way, so there is no one size fits all. Take a look at the categories below and see what impacts you and analyze. One of the biggest plays for end of the year is paying in 2017 state tax to be owed by 12/31 and paying the April 2018 real estate tax by 12/31, especially here in CA. With the new tax bill capping combined real estate taxes and state income taxes at $10K (personal taxes, not rental real estate taxes or farm rental real estate taxes) for 2018, folks are paying in the 2017 state tax and the April property tax by 12/31 (if they know they’ll max out the $10K state tax and property tax deduction in 2018 already) to hope to get the deduction in 2017 if they are not in AMT. If your itemized deductions are not more than the 2017 standard deduction amounts ($6K single, $12K married), then there is no reason to pay any state tax owed by 12/31. Some of you might be thinking, why don’t I just pay all of my 2018 state tax less $10K in 2017 if I’m not in AMT. The tax bill thought of that and one of the 1100 pages of the tax bill (can read full bill here) Sec. 11042(a) states you cannot pay state and local income tax imposed for a taxable year beginning after 12/31/2017. Be sure to read below about a special 20% deduction for Schedule C, Schedule F, Schedule E, and pass-through entities. Here is what the Tax Foundation (hopefully nonpartisan) says is the impact of the new tax bill under 8 scenarios. When will my paycheck be more? The IRS estimates that the Federal withholding tables will be adjusted in early February, meaning they will start to withhold at the lower tax brackets in February and your paycheck should reflect that. Standard Deduction Increase and Personal Exemption: Increases the standard deduction to $12,000 for single filers, $18,000 for heads of household, and $24,000 for joint filers in 2018 (compared to $6,500, $9,550, and $13,000 respectively under current law). Personal exemptions ($4K per person) is eliminated. For a single individual, the net result of the increased standard deduction and personal exemption elimination is an additional deduction of $1,500 ($3K for married). Mortgage Interest: Limits the mortgage interest deduction to the first $750,000 in principal value. For homes purchased before December 15, the mortgage deduction limit is grandfathered in at $1M. No limit on rental mortgage interest, considered trade or business. In 2026, this provision reverts back to $1M. Second Home/Vacation Home Interest: Interest on second home/vacation home is allowed as before, excpet that the total loan limit for combined personal/second home is $750,000 (instead of $1M). The tax bill approved by the conference committee allows taxpayers with existing mortgages to continue to deduct interest on a total of $1 million of mortgage debt for a first and second home. For new buyers (meaning December 15, 2017 and after), the $1 million limit drops to $750,000. SALT $10,000 Max: As discussed above, the bill limits the deductibility of 2018 and future property taxes and state and local income taxes to a combined $10,000. Child Tax Credit: The child tax credit has doubled to $2,000 for children under 17. It's also now available, in full, to more people. The entire credit can be claimed by single parents who make up to $200,000, and married couples who make up to $400,000. ​New tax credit for non-child dependents, like elderly parents: Taxpayers may now claim a $500 temporary credit for non-child dependents. This can apply to a number of people adults support, such as children over age 17, elderly parents or adult children with a disability. AMT Increased Exemption: The exemption for the alternative minimum tax (AMT) increases from $86,200 to $109,400 for married filers. The exemption phases out starting at $1 million, up from $164,100. The new exemption is $70,300 for non-married filers and phases out beginning at $500,000.The elimination of the SALT deduction beyond $10,000 will also reduce those who are subject to AMT. 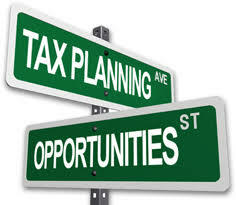 AMT Minimum Tax Credit Carryforward: There is a hidden jewel with the new AMT changes. Over the years, many taxpayers have not been able to utilize their AMT Minimum Tax Credit Carryforward due to being in AMT each year and the AMT Minimum Tax Credit is only applicable when you are not in AMT. With the increased AMT exemption and increase of when the exemption phase-out begins, most taxpayers will not be in AMT for 2018 and beyond. Therefore, taxpayers will be able to utilize some (generally not all) of the AMT Minimum Tax Credit Carryforward. An AMT Minimum Tax Credit Carryforward is only generated on deferral items (one being incentive stock options (ISO's)). Medical Deduction: Medical expenses beyond 7.5% of your AGI is deductible (up to AMT), prior rule was the medical expense had to be above 10%. This lower threshold is only for only 2017 and 2018, goes back to 10% of AGI in 2019. Beefed up 529 Plan: In the past, funds invested in 529 savings accounts was not taxed, but it could only be used for college expenses. Now, up to $10,000 can be distributed annually to cover the cost of sending a child to a "public, private or religious elementary or secondary school." Alimony Payments: Alimony payment are no longer deductible for the person who writes the checks. This provision will apply to couples who sign divorce or separation paperwork after December 31, 2018. Moving Expense Deduction: Eliminated except for members of the military. Unreimbursed Business Expenses, Investment Expenses, CPA Fees, & All 2% Itemized Deductions: Deductions are eliminated starting in 2018, but slated to come back in 2026. Business expenses related to a trade or business are still deductible, but unreimbursed expenses related to a W2 job are no longer deductible. Theft & Casualty Losses: If you’re a victim of a house fire, flood, burglary or similar event, you can generally deduct the losses subject to limitations, but the new tax plan only allows these deductions during an event that the President officially declared to be a disaster. Charitable Deduction Expanded. The charitable deduction expands for those who itemize, from 50 percent of AGI to 60 percent. The charitable deduction is denied for payments made in exchange for seats at college sports games. Itemized Deduction Phase-out: The phaseout of itemized deductions (Pease) has been eliminated. Estate Tax: The amount of money exempt from the estate tax, previously set at $5.49 million for individuals, and at $10.98 million for married couples, has been doubled. Chained CPI: The new legislation uses "chained CPI" to measure inflation. It's a slower measure than what was used before. Over time, that will raise more money for the federal government, but deductions, credits and exemptions will be worth less. Obamacare Individual Mandate: Eliminated in 2019 as well as the penalty for not having insurance. Section 199 Deduction: Section 199 deduction (also referred to as the domestic manufacturing deduction, U.S. production activities deduction, and domestic production deduction) 9% deduction is eliminated. 20% Deduction for Pass-Through Businesses: A new 20% deduction is available to all pass-through businesses (S-Corps, partnerships, Schedule C (sole proprietorship), Schedule E (rentals), and Schedule F (farming), trusts, and estates) for 2017 through 2025. Tax law limits the 20% deduction to no more than 20% of the taxpayer’s taxable income subject to ordinary income tax rates. After the 20% deduction, the remaining income is taxed at your regular tax rate. For people who make more than $157,500 (or $315,000 for a married couple), the deduction is limited, or phased out entirely for people in certain “specified service businesses,” including medical, legal and consulting practices (but not engineers and architects). A specified service trade or business means any trade or business involving the performance of services in the fields of health, law, consulting, athletics, financial services, brokerage services, or any trade or business where the principal asset of such trade or business is the reputation or skill of one or more of its employees or owners (i.e. Dave Ramsey company), or which involves the performance of services that consist of investing and investment management trading, or dealing in securities, partnership interests, or commodities. For those facing a limit on the 20% deduction (i.e. those not in special service trade or business and income is more than $157,500 (or $315,000 for a married couple)), the deductible amount is capped at 50% of the wages paid by the business or 25% of wages paid plus 2.5% of the value of the business’s “qualified property,” whichever is greater. Qualified property is tangible, depreciable property that pass-through businesses use to produce income. The new deduction applies to businesses operated and real estate located “inside” the United States. Taxpayers do not get a deduction on pass-thru income earned “outside” the United States. Carried Interest: The final bill makes a minor change to carried interest, requiring that those investments be held for at least three years instead of one to count as eligible for the long-term capital gains tax rate. Stock Options: The final bill also allows some employees of private companies to defer immediate taxation for up to five years on the gain from exercising a vested stock option or when a share of restricted stock becomes vested. The deferral is not available to owners of 1% or more of shares, the chief executive officer, the chief financial officer and of the four most highly compensated officers for any of the last 10 years. C-Corporation Rate: Final bill reduces C-Corporation rate from 35% to 21%. C-Corporations are still subject to double tax when they pay out the retained earnings to shareholders and the shareholders have to pay the 15% or 20% qualified dividend tax. Research & Development Credit: The R&D credit was not eliminated. Currently, companies can claim a 50% tax credit for qualified clinical testing expenses incurred in testing certain drugs for rare diseases or conditions, generally referred to as "orphan drugs," affecting fewer than 200,000 persons in the US. The conference agreement follows the Senate amendment, but reduces the credit rate to 25 percent of qualified clinical testing expenses. 401-K Loans: Under the legislation, people who leave a company with a 401(k) loan outstanding would be able to repay the loan by the day they file their federal tax returns. Currently, such employees are typically required to repay 401(k) loans within 60 days of their departure. Recharacterizations of Roth conversions: The tax package would do away with recharacterizations of Roth conversions. With a recharacterization, investors who convert a traditional IRA to a Roth IRA can “undo” the conversion, nullifying the tax bill they would otherwise have to pay. Taxpayers who did a conversion this year and are considering recharacterizing it must act by the end of 2017. Full expensing of qualified property: The bill modifies section 168 bonus depreciation to allow for full expensing of qualified property (essentially 5 year property) placed into service after September 27, 2017, and before January 1, 2023. Thereafter, the bonus depreciation percentage phases down annually through 2026 (80 percent in 2023, 60 percent in 2024, 40 percent in 2025, and 20 percent in 2026). Property with longer production periods and certain aircrafts receive an additional year of full expensing, with phase downs also beginning a year later. The full expensing provision also eliminates the current requirement that the original use of the property begins with the taxpayer. Thus, property qualifies under this provision as long as the property was not used by the taxpayer prior to the time of acquisition. Section 179 expensing: The bill increases the section 179 expense election threshold to $1 million. The phase-out of this expense election begins when the cost of qualifying property reaches $2.5 million. The bill also expands the definition of section 179 property to include certain property used in furnishing lodging, and roofs, heating, ventilation, air-conditioning property, fire protection and alarm systems, and security systems for nonresidential real property that are placed in service after December 31, 2017. Net Operating Loss: The bill would repeal net operating loss carrybacks and limit carryforwards to 80% of taxable income. Repeal of technical termination of partnerships: Under current law, a partnership terminates if within a 12-month period there is a sale or exchange of 50 percent or more of the total interests in partnership capital and profits (commonly referred to as a “technical termination”). When a technical termination occurs, the business of the partnership continues in the same legal form, but the partnership is treated as newly formed and, thus, must, among other things, make new elections for various accounting methods and restart depreciation lives. Under the provision, the technical termination rule would be repealed. Thus, a partnership would be treated as continuing even if 50 percent or more of the total capital and profits interests of the partnership are sold or exchanged, and new elections would not be required or permitted. The provision applies to partnership taxable years beginning after December 31, 2017. Personal residence Section 121 Rules: Taxpayers will continue to be able to exclude up to $500,000 ($250,000 for single filers) from capital gains taxation when they sell their home, as long as they have lived there and owners on title for two of the previous five years. Earlier versions of the tax bill would have imposed a longer time frame. Student Loan Interest: You can still deduct up to $2,500 of student loan interest as long as your income is under the threshold. Medical Deduction: Deduction actually got better, new threshold is medical expenses are deductible if they are beyond 7.5% of your AGI rather than 10% of your AGI. However, AMT does limit this deduction. This lower threshold is only for only 2017 and 2018, goes back to 10% in 2019. Teacher $250 Deduction: Educators can continue to deduct up to $250 to offset what they spend on classroom materials. Electric Car $7,500 Credit: Drivers of plug-in electric vehicles can still claim a credit of up to $7,500. Just as before, the full amount is good only on the first 200,000 electric cars sold by each automaker. GM, Nissan and Tesla are expected to reach that number sometime next year. Tuition Waivers for Graduate Students: Graduate students still won't have to pay income taxes on the tuition waiver they get from their schools. Employer Paid Tuition: When employers pay your tuition for continuing education, the amount they pay is not taxable income for you as long as it meets certain conditions and amounts to no more than $5,250 a year. The House had proposed that the benefit be taxable, but the final bill does not have this provision. Retirement Accounts, 401K: No changes to the tax-free amounts taxpayers are allowed to put into 401(k)s, IRAs and Roth IRAs. Selling of Stock First-in-First-Out (FIFO): Proposal of making stock sold on a FIFO basis did not make the final bill, you can still chose which specific shares to sell. High Income 20% Capital Gain and Qualified Dividend Rate, 3.8% Net Investment Tax, & .9% FICA Tax: As with both the House and Senate versions, the final bill retains the 20 percent special tax rate for long-term capital gains and qualified dividend income, the 3.8 percent tax rate on certain levels of net investment income and the 0.9 percent FICA-HI tax rate on certain levels of earned income. Are you still reading…good for you. Above is not all the new tax changes, but covers a good majority of the items that will impact most taxpayers. Let me know if you have any questions. Happy New Year! 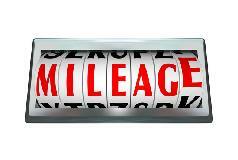 The Internal Revenue Service today issued the 2018 optional standard mileage rates used to calculate the deductible costs of operating an automobile for business, charitable, medical or moving purposes. Plan is to take effect for 2018 tax year, not this year. Nearly double the standard deduction for each filing status. Removal of personal tax exemption. 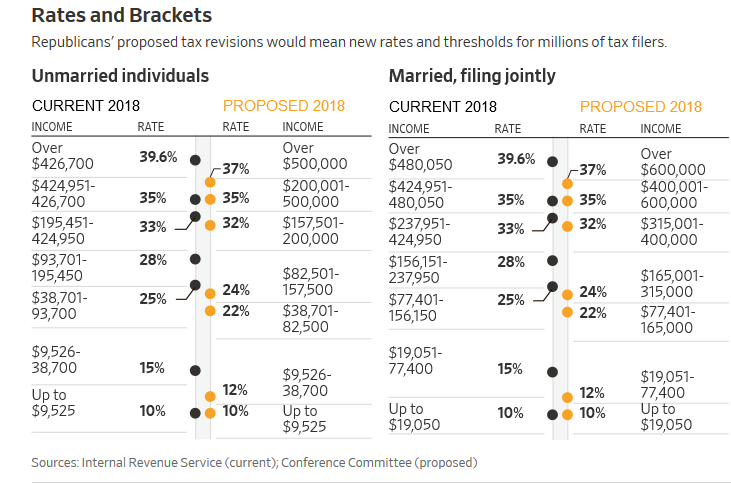 Change in tax brackets from 7 to 4, see image in article that plots each current bracket to proposed bracket. Capital gains and qualified dividend tax remains unchanged. New $300 per person credit taxpayer, spouse, and non-child dependent in the household. Limits property tax payments to $10K and eliminates deduction for state income taxes (which is currently mostly limited with the current AMT structure). Child tax credit go from $1,000 to $1,600 with the eligibility threshold going from $115K to $230K. Double the estate-tax exemption for next 8 years, repeal the estate tax in 2024. Pass-through (S-Corp and partnerships) income is taxed at 25% if a passive investor. If actively involved, 70% of that pass-through income is taxed at regular rates and remainder would be taxed at the 25% rate. For professional service firms (lawyers, accountants, etc. 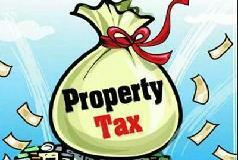 ), no 25% rate, all taxed at regular income. C-Corporate rate goes from 35% to 20%, see image in article that plots new and old C-Corp rate compared to a few other countries. Availability to immediately deduct capital improvements instead of using the max Sec. 179 amount of $500K. Sec. 199 manufacturing deduction repealed. It’s hard to say if a taxpayer’s total tax is less under the new plan, most folks say it is a bit better. I’ve seen some numbers of a single person with $25K salary saves $178, single with $75K salary saves $2,028, and single with $175K salary saves $4,239. Solar credits on a principal residence or even a 2nd home (US) is pretty straight forward. Taxpayer claims the credit on Form 5695 (Residential Energy Credit) based on the instructions and the credit is 30% of total installation price in the year the solar property is installed if in 2017, 2018, and 2019. The credit is reduced to 26% in 2020, 22% in 2021, and is set to expire after 12/31/2021. 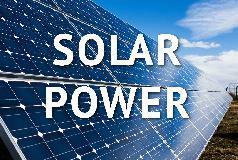 You can also claim a solar credit on commercial rental property and residential rental property. The credit is claimed on a different form though and is not so easy to navigate, Form 3468 (Investment Credit). It is difficult to locate the language that allows a solar credit to be claimed on residential rental property, but it goes like this: Sec. 48(a)(3)(C) provides that the property (solar property) must be depreciable property (i.e. trade or business), Sec. 50(b)(2) provides that the property cannot be used for lodging (not great news, but keep reading), and lastly Sec. 50(b)(2)(D) provides an exception to the lodging exception: energy property (at last, we have arrived that a solar credit is allowed for residential rental property). The solar credit for commercial and residential rental properties was set for a haircut in 2017, but 13 days before a reduced rate became effective, Congress passed the Omnibus Appropriations Bill on December 18, 2015. The solar credit for commercial and residential rental properties is 30% of the total installation price in the year the solar property is installed if in 2017, 2018, and 2019. The credit is reduced to 26% in 2020, 22% in 2021, and 10% after 2021. If the solar installation is in 2020 or after, take a look at the new provision regarding “commence construction” to attempt to get a higher credit rate of the year prior to placed in service year. One last comment (this may be an entire blog in itself), be careful with the PACE (Property Assessed Clear Energy) and HERO (Home Energy Renovation Opportunity) programs. Interest rates are quite a bit high, can only deduct interest (not the full payment), and issues when you try to sell the property with the loan still in place. As with everything, be sure to do your own homework before making a solar purchase decision. Estimated Tax Payments: Current Tax Law or White House Proposed Plan? Many taxpayers have asked should I pay Federal estimated tax payments under the current law or under the White House proposed tax plan? Before we address this question, let’s discuss estimated tax payments. In summary, the Government likes to be paid. As a W2 earner, most taxpayer’s pay in enough withholding on their paycheck to avoid any estimated tax payment penalties on their personal tax return. The IRS wants to receive their funds at 25% each quarter with payment due dates of 4/15, 6/15, 9/15, and 1/15 after the close of the year. California likes to receive their funds of 40% for 4/15, 30% for 6/15, 0% for 9/15, and 30% for 1/15 after the close of the year. CA estimated tax payment percents became different from IRS in 2009 when CA thought they were clever to balance a budget by front loading the estimated tax payments before their fiscal year end of 6/30. 2. 90% of the current year total tax. If you do not have the cash to pay the estimated tax as each quarter comes up due to peaks and valleys of the timing of your income, IRS/CA allows you to calculate your estimated tax owed based on dates of actual receipt of the income. The calculation gets a little muddy, so for our purposes, just take my word that it is possible to alter the calculation based on income actually earned by date. 1. Keep my money as long as I can and pay a penalty (considered cheap interest by some taxpayers) for not making estimated tax payment penalties. 2. I can’t stand paying the Government a dollar more than I have to and therefore pay the estimated tax based on the rules described above. No particular school of thought is more correct, it is really about the taxpayer’s personal philosophy. According to the IRS, the number of taxpayer’s paying estimated tax payment penalties has risen 40% from 2010 to 2015. This may be because the interest rate used is the Federal short-term interest rate plus 3% and the Federal short-term interest rate has been mostly zero during that period. However, the Federal short-term interest rate started to increase in December of 2015 and the underpayment penalty rate is currently 4%. For illustration purposes of the increase in underpayment penalties, a married couple with no kids and standard deduction making 150K but not paying any Federal or CA withholding, would have an estimated tax payment penalty for 2015 of $206 for Federal $66 for CA and estimated tax payment penalty for 2016 of $272 for Federal and $72 for CA. A married couple with no kids and standard deduction making 525K but not paying any Federal or CA withholding, would have an estimated tax payment penalty for 2015 of $2,666 for Federal $824 for CA and estimated tax payment penalty for 2016 of $3,533 for Federal and $924 for CA. These amounts may not appear to be much for keeping your money throughout the year, but keep in mind that the rate is trending up. If the interest rate goes back to the 2000 rate of 9%, 1990 rate of 10%, or 1983 rate of 16%, the penalty will be drastically increased. In addition, the estimated tax payment we are discussing is assuming the taxpayer pays all of their unpaid tax liability by the tax return due date of April 15th. If you pay after April 15th, there is also late payment penalties and interest. Getting back to the original question, should you pay estimated tax payments based on the current tax structure or the White House proposed tax plan or even not all? 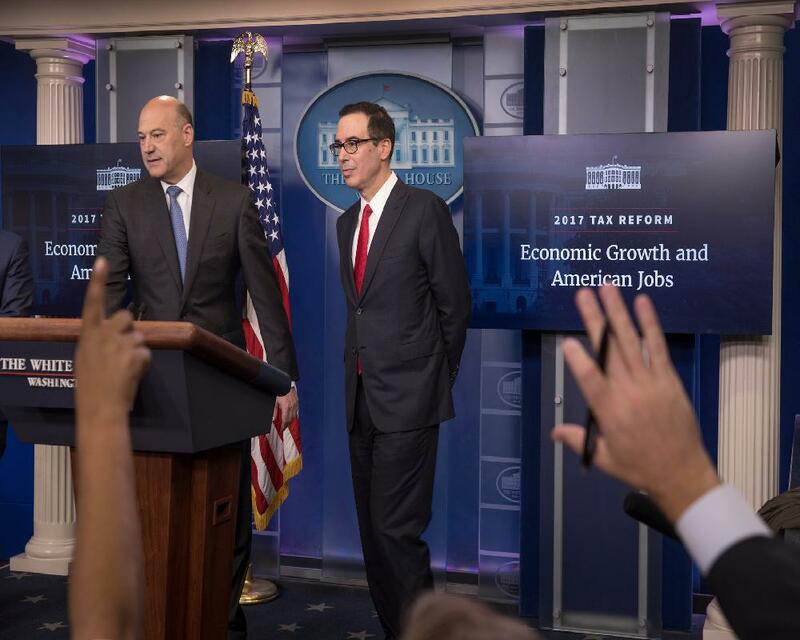 The technical answer to avoid penalties if the White House proposed tax plan does not become law as of January 1, 2017 is to pay estimated taxes based on the current tax structure. However, it’s your choice… what school of thought are you? I know we have mentioned the CA Competes Credit before, but it is just too good of a credit to not mention again. Even if you have been denied, I recommend applying again. There are $75 million in tax credits available during this application period for businesses that are expanding and adding full-time jobs in the state (could be maintaining too). The minimum credit is $20,000. The deadline to submit applications is Monday, August 21, 2017, at 11:59 p.m. (Pacific Time) and the online application website will automatically close once this deadline has passed. The online application can be accessed at www.calcompetes.ca.gov. 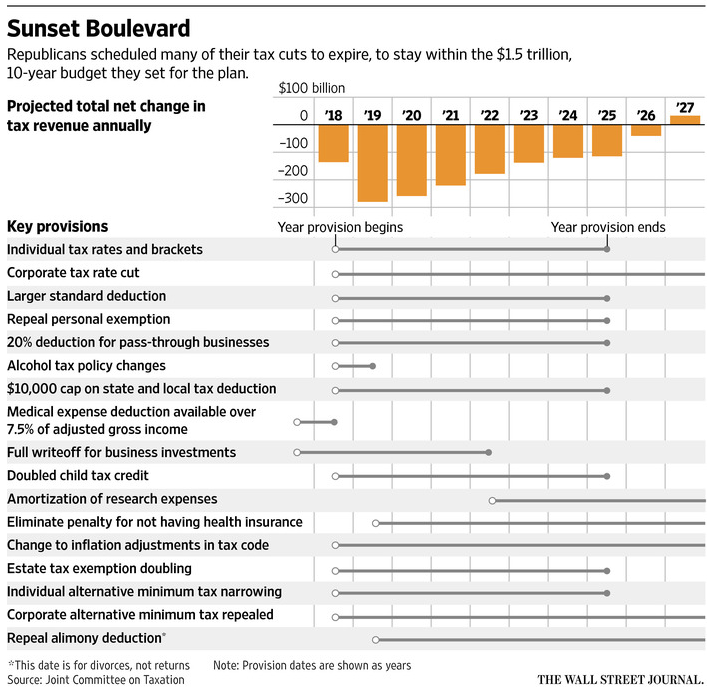 Reduce current 7 tax brackets that tops out at 39.6% to 3 brackets of 10%, 25%, and 35%. Double the standard deduction to $24K. Eliminate all tax deductions except for mortgage interest, charitable giving, and retirement savings. Increase capital gains and qualified dividend rate to 20%. Repeal the 2013 3.8% net investment tax that was in addition to capital gains tax. Repeal Alternative Minimum Tax (AMT). Change C-Corporation tax rate from 35% to 15%. Change tax rate on individuals that have flow through income (partnership, S-Corp’s) to 15%. Change tax system to a territorial tax instead of tax on worldwide income. Create a new one time tax on overseas profits brought back to US, rate to be determined. The above is the initial White House proposal that will be debated in Congress, expect lots of changes and details. Reminder that property taxes are due today April 10th. Any amount paid after today will incur a penalty. Reminder that Temecula Sales Tax increases by 1% tomorrow (April 1st and not a joke). Be sure to update your systems to collect the extra 1% or finalize your purchases to save 1%. Temecula rate will now be 8.75%. The Governor’s Office of Business and Economic Development (GO-Biz) is now accepting applications for the California Competes Tax Credit (CCTC). There are $100 million in tax credits available during this application period for businesses that are expanding (or continuing on) and adding full-time jobs in the state (not required, but preferred). The deadline to submit applications is Monday, January 23, 2017, at 11:59 p.m. (Pacific Time) and the online application website will automatically close once this deadline has passed. The online application can be accessed at www.calcompetes.ca.gov. You request the amount of credit you want and Go-Biz evaluates your requested amount based on other applications it receives. Credits are awarded as they are earned over a 5 year period and offset CA tax. Credits are for items in the future, not what you have done in the past, therefore apply for the credit BEFORE you hire folks or make a significant purchases. Frequently Asked Questions (FAQs), and program regulations are available at www.business.ca.gov/CalCompetes.aspx. If you plan on staying in business over the next 5 years, I recommend you apply for this credit, doesn’t hurt, could be substantial, and does not take much time. Businesses interested in learning more about the CCTC can participate in free application webinars. Click www.business.ca.gov/Programs/California-Competes-Tax-Credit/California-Competes/Webinars for Competes/Webinars for the schedule and registration information. Are you completely confused on what the sales tax rate should be now that we have started January 2017? Well, you're not the only one. Sales tax varies by county and some cities passed measures in November to increase their city tax. At the Statewide level, the rate was lowered one quarter of 1 percent (i.e. .25%) due to a partial expiration of Prop 30 from 2012. For Temecula, the rate prior to January 1, 2017 was 8% and the rate after January 1, 2017 is 7.75%. You might be thinking, I thought Temecula sales tax went up 1% as a result of Measure S approval from the November Elections. That is true, but Temecula Measure S effective date is April 1, 2017. Therefore, on April 1, 2017 the Temecula sales tax rate will go from 7.75% to 8.75%. 1. Calculate your gain or loss from the sale; sales price of property less closing costs, less amount paid for property, less amounts paid to improve property, plus depreciation (if any). You'll need to gather the purchase closing escrow statement, records for property improvements, tax returns for depreciation claimed, and estimated selling closing statement or amounts. A. IRS/US: If sales price is less than $300K and buyer is using for personal residence, the IRS/US withholding is zero. If sales prices is above $300K and the buyer is using the home for personal residence, withholding is 10% of the sales price. If you don't fall into these categories, withholding is 15% of the sales price. If the actual Federal tax on the gain is less than the withholding, you can file Form 8288B to request a lesser withholding and get the funds back from escrow within approximately 90 days. Otherwise, a refund will come from filing a US income tax return. B. CA withholding is either 3.33% on the sales price or 12.3% on the estimated gain from #1 above, most taxpayers choose the lesser. 3. To get the actual tax liability assessed instead of the generally higher withholding at sale, you would need to file a tax return. 4. To file a tax return, you need to obtain a tax identification number if you do not already have a number. A TIN Form W7 needs to be filed with a tax return or form, generally one of the withholding forms or the income tax return. Upon processing, a TIN number is issued and you can use that number for all of your real estate sales and tax forms. Do you remember the big announcement that Toyota was moving its headquarters and 3,000 jobs from California to Texas? There are many reasons companies leave CA for another state, but CA is trying to reduce those reasons by incentivizing companies to stay in CA through their CA Competes Tax Credit. The sole purpose of this credit is to create and keep jobs/business here in CA. This credit is different from almost all credits because it is forward looking and there is no preset credit amount you'll receive. You'll develop a 5 year plan of how many additional employees the company will hire/keep and the company investment in CA over 5 years (real and personal property, i.e. resign lease agreement, resign software agreement, computers, desk, chairs, vehicles, improvements, etc.). Here is the weird part, you request the credit for what you need, seriously! How do you determine what you’ll need to be a happy CA company, who knows, but the amount requested can't be ridiculous. Prior amounts requested are posted online and can give you a gauge for what others have requested. The minimum credit is $20K and the maximum credit is $46M. After you fill out the application for the requested credit, number of employees you'll hire, and the investment you'll bring to CA over the next 5 years, they bench mark you against other companies that applied during the application period (it is a competitive credit). The credit is awarded by year as the 5 year plan is met. Information above taken from Spidell Publishing. Courtesy of Deloitte Tax, several year end changes are in the works. The biggest potential change is increasing the Sec. 179 amount, see below. House and Senate negotiators have released statutory language and a summary of a tax extenders agreement that would make permanent several business, individual, and charitable giving incentives that expired at the end of last year; renew a handful of provisions for five years; and extend dozens of other tax deductions, credits, and incentives through 2016. The agreement, which was released early on December 16, also would temporarily suspend the medical device excise tax enacted in the Patient Protection and Affordable Care Act of 2010 (PPACA). The legislation, which according to unofficial estimates could reduce federal receipts by $650 billion or more between 2016 and 2025, is still subject to approval in the House and Senate. Both chambers are expected to take up the measure in the coming days. A high-level overview of the major provisions in the agreement is provided below. Additional details will appear in an upcoming edition of Tax News & Views. •The reduced recognition period for S corporation built-in gains tax. •Enhancements to the earned income tax credit and child tax credit that were enacted in the American Recovery and Reinvestment Act of 2009 and scheduled to expire in 2017. These provisions were key to gaining Democratic support for the agreement; however, the agreement also provides for new safeguards to address Republican concerns about fraud and improper payments in these programs. The agreement does not include a provision sought by key House Democrats that would have indexed the child tax credit to inflation. •The basis adjustment to stock of S corps making charitable contributions of property. •Bonus depreciation and the election to accelerate alternative minimum tax credits in lieu of first-year bonus depreciation, phased down over five years and sunsetting in 2020. The agreement provides for 50 percent bonus depreciation in 2015, 2016, and 2017; 40 percent in 2018; and 30 percent in 2019. •The lookthrough rule for payments between related controlled foreign corporations under the foreign personal holding company rules. •The work opportunity tax credit (expanded to make the credit available to employers who hire certain long-term unemployed individuals). Dozens of other now-expired extenders provisions would be renewed through 2016, retroactive to the end of 2014. •Special expensing rules for certain film and television productions. •Incentives for biodiesel and renewable diesel. •Deductibility of mortgage insurance premiums as qualified residence interest. The agreement also would suspend the PPACA’s medical device excise tax for two years (2016 and 2017). •Overhaul the rules governing the tax treatment of real estate investment trusts (REITs). •Liberalize the rules governing tax-preferred section 529 education accounts. •Make a variety of other targeted changes related to, among other things, the alcohol excise tax, the alternative tax for certain small insurance companies, and the treatment of income received under the Work Colleges Program. •Make reforms to Internal Revenue Service operations and address taxpayer access to the federal Tax Court as well as Tax Court administration. •A Taxpayer Bill of Rights. Several renewable energy and health care taxes that have been at the center of negotiations between the two parties were not included in the extenders package but are addressed as part of a just-released omnibus spending bill. The production tax credit for wind would be extended for five years while being phased down over that time. The solar energy credit likewise would be extended for five years (2018-2022) and phased down. The omnibus also includes provisions related to two PPACA taxes: a one-year suspension of the health insurance tax and a two-year delay of the so-called “Cadillac” tax on certain high-cost employer-sponsored health insurance plans. The tax extenders package – along with the omnibus appropriations measure which includes additional tax provisions – now heads to the full House and Senate where lawmakers will attempt to clear both measures as their last orders of business before departing the Capitol for a holiday recess. At press time, the exact timing for consideration of the measures was not clear, although it is expected the House will act first. Due to a rule in that chamber that generally requires legislation to be made publicly available for a certain period of time before it is voted on, it is anticipated that the House will consider the tax and spending bills on either December 17 or 18. Assuming House lawmakers successfully clear the measures, reports have indicated that the two bills may then be combined into a single piece of legislation in order to help expedite Senate consideration. Although President Obama has in the past expressed strong opposition to legislation that would repeal or roll-back significant components of the PPACA, the delay of the Cadillac tax and the two-year suspension of the medical device excise tax included in the legislation unveiled December 16 are not expected to elicit veto threats from the White House. Separately, on December 16 the two chambers are expected to pass, and the president is expected to sign, a continuing resolution – or short-term appropriations measure – to fund the government through December 22. Under the terms of a continuing resolution enacted last week, agency funding would otherwise lapse after December 16. At one point in our lives, we get excited when we receive mail thinking it’s from family, or expecting a package, an acceptance letter to a college or a new job. As we look through the envelopes and packages all of a sudden a letter from the Internal Revenue Service gets our attention. I don’t know about you but these letters make some people nervous. Sometimes we just respond to the notice right away, after all, it is the IRS. However, if we look closely, it turns out it was not from the IRS but from some people trying to trick us to give them our confidential information. This is called a phishing scam. These people make the letters seem legitimate that we believe they are real. One of our clients received such a letter and because we know what it should look like, we advised them to ignore the notice and move on. We called the IRS and they informed us that they do not ask individuals to verify any kind of identity and never ask people to go to a website to provide confidential information. Per the IRS, there is no "Identity Verification Service" department. An example of the letter is posted on our Facebook page, please click the link below. If you receive the same kind of letter, please ignore!!! We advise you to be careful when responding to any IRS notices, make sure the letters do not seem fishy or forward to your accountant to make sure they are real and legitimate. Let’s keep our eyes open for these phishing scams! Effective January 1, 2015, you may make only one non-taxable IRA-to-IRA rollover every 12 months. This limitation applies regardless of how many IRAs you have. Because of this new rule, rollovers after the first one in a 12-month period are taxable. All rollover distributions and contributions are reported to the Internal Revenue Service. If you have any questions, please call us at the number below. As for SDI withholding, the 2015 SDI rate is .9% on wages up to $104,378 per employee. Please make sure your payroll system is updated to reflect any payroll rate changes on your employer account. If you do not prepare your own payroll, make sure your payroll company updated your account for any changes. I hope you all had a good New Year! Courtesy of Spidell Publishing, Inc. The bill also will adjust, for inflation, failure-to-file and failure-to-pay penalties for tax returns required to be filed after December 31, 2014. The law also includes the ABLE Act, which provides a new type of tax-advantaged savings plan for disabled individuals. (New IRC §529A) They are closely modeled after IRC §529 Qualified Tuition Plans. The Senate voted to extend a raft of temporary tax breaks through the rest of 2014, ending a protracted struggle that foreshadows even more difficult tax-code debates next year. See post below to see what is included in this tax break extension. The bill now goes to President Barack Obama, who is expected to sign it. On December 3, 2014, the House of Representatives approved a one-year retroactive extension for some tax deductions and credits that expired last year. If you have a business or clients that may benefit from this extenders package extension, please follow the link below to read more about it. Keep in mind that this hasn't passed yet. The bill is on its way to the Senate and hopefully gets approved so it can move on to the President. If you have any questions or need tax advice, please call us at (951) 676-3131. Look for either Greg or Mike. Let me guess, you received a California FTB Head of Household Audit Letter and you are freaking out. Don't worry, CA has not specifically identified you, you are among the 90,000 Head of Household Audit Letters they recently sent out. You most likely received the notice because you filed a paper return or the questionnaire you e-filed was incomplete or conflicting. If you ignore the notice, they will assume you do not qualify and send you a notice of proposed assessment and then proceed with collection. Respond to the notice or call us. AB 1393 (Perea), which retroactively extends California’s COD provisions for qualified principal residence debt through December 31, 2013, has passed both the Senate and Assembly and has been sent to the Governor, who is expected to sign the bill. The bill conforms to federal law — but with lower maximum exclusions allowed. Prior to this bill, there were other ways to exclude mortgage COD (see prior blog below), but this bill allows taxpayers to exclude principal residence COD if they don't meet those other 2 exclusions (nonrecourse or insolvency). This is only a 2013 CA law change, so if you had personal residence COD and it caused a lot of CA tax, then ask us about this new bill. 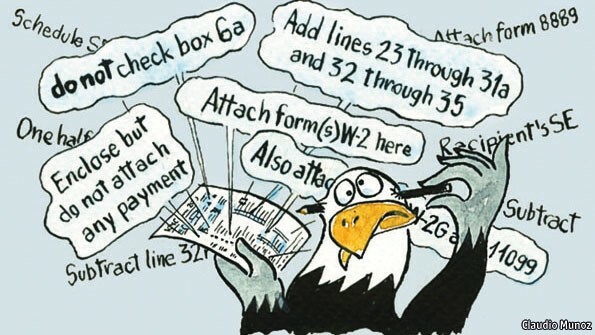 Even if your AGI is not at these levels, it is important to understand the impact of tax law changes and how to minimize tax liability no matter where you are on the spectrum. To ensure no one feels left out, the IRS has something in store for taxpayers at all levels. At the end of 2012, the taxpayer had all sorts of uncertainty with the "fiscal cliff" and it made tax planning difficult. Finally, on January 2nd, 2013, things became much clearer with the enactment of The American Taxpayer Relief Act of 2012 (ATRA). Let's take a look at where things stand as of now, provisions that are set to expire at December 31, 2013, as well as some tax planning ideas. Payroll Tax Holiday: As you probably have already felt, the 2% cut in employee payroll taxes ended December 31, 2012. The maximum lost benefit of this 2% cut based on 2012 figures is $2,202 out of your pocket and into the government's. 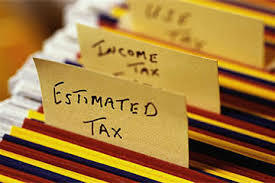 Income Tax Rates: Tax rates for the first 6 income tax brackets ranging from 10 to 35% remain unchanged. For taxpayers having taxable income above $400,000 (unmarried), $425,000 (head of household) or $450,000 (married), there is a new additional tax bracket in 2013 of 39.6%. Qualified Dividends and Long-Term Capital Gains Tax Rates: Rates are 0% for taxpayers in the lowest 2 tax brackets, 15% for taxpayers in the 25-35% tax brackets, and 20% for taxpayers in the highest 39.6% tax bracket. Medicare Health Insurance .9% Tax: Beginning 2013, an additional .9% Medicare HI tax will apply to wages of an employee or earnings of self-employed individuals who have wages or self-employment income in a year that exceeds $200,000 (single) or $250,000 (married). The Medicare HI .9% tax is in addition to the Social Security Tax and Medicare Tax. Net Investment Income 3.8% Tax: Beginning 2013, a 3.8% net investment income tax will be imposed on unearned income such as interest (not tax exempt interest), dividends, capital gains, annuities, royalties, rent income, and income from businesses in which a taxpayer does not actively participate. Income from qualified retirement plans and IRAs are exempt. This tax is applied against the lesser of the taxpayer's net investment income (after investment related and allowable deductions) or modified adjusted gross income in excess of $200,000 (single) or $250,000 (married). For trusts, this tax begins at the highest tax bracket, which kicks in after $12,000 of trust income. With the increased capital gains rate of 20% for the highest bracket, some net investment income could be taxed at a combined rate of 23.8%. Personal Exemption and Itemized Deduction Limitation: If you are thinking, "I thought we got rid of this limitation law?" We did. But now it is back with the passing of ATRA. These limitations begin with adjusted gross income in excess of $250,000 (single) or $300,000 (married). Personal exemption deductions are completely phased out when AGI exceeds $372,500 (single) or $422,500 (married). The itemized deduction limitation is the lesser of 3% of a taxpayer's AGI over the threshold amount or 80% of certain itemized deductions. Fixed Asset Bonus Depreciation and Section 179: Bonus depreciation for 2013 is 50% and expires for any assets placed in service after December 31, 2013. If you recall, bonus depreciation is a law that allowed you to expense 50% of most fixed assets in the first year it was placed in service rather than the regular percentage of say 20 or 14%. Section 179 expensing election allows you to fully expense most fixed assets in the year the asset is placed into service; exceptions do apply. For 2013, the amount that can be expensed is $500,000 and it is reduced dollar for dollar for assets placed in service exceeding $2,000,000. Also for 2013, as part of Sec. 179 thresholds, you can expense up to $250,000 of qualified leasehold improvements, qualified restaurant property, and qualified retail improvement property. After December 31, 2013, the amount that can be expensed is $25,000 and is reduced dollar for dollar for assets placed in service exceeding $200,000. There may be a law passed to increase these low 2014 limits, but this is currently the law for 2014. If you have any fixed asset purchases in mind, purchasing them in 2013 as opposed to 2014 might reduce your tax liability substantially when comparing the two years. Employee: If you do not have health insurance, the penalty for 2014 is $95 per adult and $47.50 per child with a total cap of the greater of $285 or 1% of income above the filing threshold. The penalties are increased each year to an amount of $695 per adult and $345.50 per child with a total cap of the greater of $2,085 or 2.5% of income above the filing threshold in the year 2016. An individual can be exempt from the penalties if their income is under the threshold to file an income tax return or their out of pocket contribution is more than 8% of their income. Employer: The US Department of Treasury has delayed the mandatory employer and insurer reporting requirements as well as the shared responsibility penalties until 2015. Other Tax Provisions Set to Expire December 31, 2013: R&D tax credit, 15 year straight-line for qualified leasehold/restaurant/retail improvements, qualified tuition deduction (not the credit), state and local general sales tax itemized deduction, bonus depreciation, Sec. 179 current rules, credit for energy efficient appliances, $250 educator expense, exclusion from gross income qualified principal residence loan forgiveness (see prior blog for details), mortgage insurance premiums treated as qualified residence interest, IRA-to-charity exclusion, and work opportunity tax credit are all set to expire by December 31, 2013. There are more, of course, but this is the bulk that applies to most. With the Alternative Minimum Tax patch made permanent with passing of the ATRA, the motivation for Congress to get together and pass extender bills on these expiring provisions has been reduced substantially. There appears to be a good chance that at least the Section 179 will be addressed for 2014. Timing of Income and Deductions: If you have the ability, analyze the timing of income and deductions under different scenarios to maximize deductions and lower overall tax liability. For example, if you are in the highest bracket for 2013 but anticipate AGI being below $200,000 in 2014, you can push capital gains to 2014 to avoid the 20% capital gains rate and the 3.8% net investment income tax. Be sure to avoid the additional 20% or more tax on impermissible changes in timing of income. Analyze AMT: The Alternative Minimum Tax was established in 1969 to ensure that the very wealthy do not receive tax benefits (state tax deduction, real estate tax deduction, 2% miscellaneous deduction, etc.) that other taxpayers receive, which means certain deductions are added back to their income and a new tax (alternative minimum tax) is derived. This system was not indexed for inflation and over the years the very rich have become the middle class. Analyze your exposure to this additional tax on a multi-year basis and plan around it the best you can. Employer Reimbursement: Get reimbursed for employer expenses as much as you possibly can. A 100% reimbursement is always more beneficial than a tax deduction that only saves you approximately 24 cents on the dollar in taxes. With unreimbursed expenses being one of the addback items for AMT, there is a good chance that you will not even get 24 cents on the dollar. Get reimbursed! Installment Agreement: To help the timing of receipt of income, consider an installment agreement for eligible asset sales to minimize 20% capital gains rate and 3.8% net investment income tax. Maximize Contributions to Employer Sponsored Retirement Plans: Deferring income to future years lowers your tax liability and also lowers your adjusted gross income. A lower adjusted gross income may help you keep tax benefits that phase out for higher incomes. Don't forget about the catch-up contributions for those 50 or older. Establish Company Retirement Plan: There are substantial tax benefits to be had in establishing a retirement plan (SEP-IRA, 401K solo, defined benefit, defined contribution, etc.) for your business. There are advantages and disadvantages to all retirement plans. You should discuss these with your financial advisor or a benefit administrator. Establish Spouse IRA: For those that qualify, an IRA may be established for a spouse to contribute deductible contributions up to $5,500 a year. Nonspousal Inherited Retirement Account: A taxpayer inheriting a retirement account from anyone other than a spouse can directly rollover the retirement asset into an IRA rather than triggering tax on the entire amount by cashing it out all in one year. Pay Reasonable Compensation out of S-Corporation: I'm surprised to see how many new clients who are owners of an S-Corporation pay out all earnings of an S-Corporation rather than pay themselves a reasonable compensation. By paying yourself a reasonable compensation, the remainder of the S-Corp earnings will not be subject to the possible maximum 15.3% payroll taxes. Convert Schedule C and Single Member LLCs to S-Corporations: A Schedule C taxpayer and a nonrental single member LLC income is considered self-employed income. Therefore, all income is subject to self-employment taxes. Active shareholders of an S-Corporation receive reasonable compensation that is subject to self-employment taxes; see above. In addition, a business entity's audit risk is substantially lower than a Schedule C's audit risk. Converting a Schedule C or a Single Member LLC to an S-Corporation and limit your exposure. Investment Interest: If you have investment interest that you do not foresee using or it is more beneficial to use it now, you can elect to tax qualified dividends and long-term capital gains at ordinary rates. Investment interest cannot offset investment income that is taxed at a reduced capital gains rate. Therefore, an election is needed to tax this income at ordinary rates to allow investment interest expense to be utilized. Analyze Passive Activities: With the passive activities being subject to the 3.8% net investment income tax in 2013, consider increasing your participation to become active to avoid this additional tax. Other factors (deductibility of passive losses) should be considered as well. Make an 83(b) Election: Taxpayers can elect (within 30 days of property transfer) to accelerate recognition of income with respect to the transfer of restricted property (i.e., employer stock). This election allows you to recognize ordinary income on the date of exercise rather than wait until the taxpayer's rights are vested and transferable. The goal would be to recognize a minimal amount of income at ordinary rates and the majority of income at capital gains rates due to a substantial increase in stock price. A complete analysis of tax implications is needed to make an informed decision. Foreign Income Exclusion: If you are a U.S citizen or U.S. resident alien working abroad, you may be able to exclude up to $97,600 of foreign income in 2013 if you are physically present in a foreign country for 330 days during a 12 month consecutive period or a bona fide resident of a foreign country. Sec. 1202 Small Business Stock Capital Gains Exclusion: For taxpayers other than corporations, Sec. 1202 excludes, from gross income, at least 50% and up to 100% of the gain recognized on the sale or exchange of qualified small business stock (QSBS) that is held more than five years. California passed a law on October 4, 2013, that retroactively allowed a QSBS deferral and 50% gain exclusion for tax years 2008-2012 and those that qualify may file a claim for refund. Rules regarding Sec. 1202 exclusion are complex and significant planning is required. Selling or Buying a Business: Sellers should try to structure a sale as a sale of stock to take advantage of capital gains rates and buyers should try to structure the purchase as an asset purchase to take advantage of depreciation and amortization. Stock Options: If you have stock options, there are a few different planning opportunities, but they are probably beyond the scope of this blog. Just know that if you have stock options, you should talk with your tax advisor about them. There appears to be several employees who are having stock option income included in their W2 and then the broker (i.e., Fidelity in 2012) doubles up that income again in the stock sale by not adjusting the employee's cost basis. Moral of the story, ensure you are not paying double tax on income from stock options. Solar Tax Credits: There are residential and commercial solar credits of up to 30% of eligible expenditures placed into service through 2016. Run the numbers to ensure it makes sense and the project will qualify for the credit. Small Business Health Care Tax Credit: An employer credit up to 35% (up to 50% in 2014) of premium costs paid where the employer paid at least 50% of premium costs. To receive the full 35% credit, employers must have 10 or fewer full-time equivalent workers and pay an average wage of $25,000 or less. The credit is reduced for employers between 10 and 25 full-time equivalent workers and average wages between $25,000 and $50,000. The credit is completely phased out for employers that have over 25 full-time equivalent workers and average wages more than $50,000. Accelerate or Decelerate Medical Expenses: For taxpayers 65 and younger, the threshold for deducting medical expenses has increased to 10% of AGI. Accelerate or decelerate medical expenses into a year where the deductions can exceed 10% of your AGI. If over 65, the threshold is 7.5% of AGI until 2017. Fund Health Savings Accounts: With medical expenses having a threshold of 10% of AGI for most taxpayers before they are deductible, a contribution to an HSA is deductible for those that qualify. Prepay State Income Tax or Real Estate Taxes: Prepaying these items will increase your itemized deductions; however, AMT should be considered. Prepay Mortgage Interest: Paying your January mortgage interest in December will provide a benefit of the interest portion times your effective tax rate. This item is not subject to AMT. Defer Capital Gains or Harvest Losses: Defer capital gains or harvest losses to offset capital gains up to a net amount of $3,000 loss to reduce your net investment income. Losses can be disallowed under the wash sale rule if repurchased within 30 days, but you could re-purchase after 30 days or make similar industry or mutual fund investment within the 30 days. Donate Appreciated Assets: If you are considering charitable donations, donate an appreciated asset such as stock and you will receive a deduction on the full FMV and avoid capital gains tax and possibly a 3.8% net investment tax. Deduction is limited to 50% of adjusted gross income, but can be carried forward. Qualified Charitable Distribution: If you are considering charitable donations, you can satisfy a required minimum distribution (mandatory distribution over age 70 1/2) by making a qualified charitable distribution up to $100,000 directly from your IRA to a qualified charity. Neither the income nor the charitable contribution is reported on the tax return. This technique protects the charitable donations from the charitable donation AGI limitations. This provision is set to expire on December 31, 2013. Charitable Donations: A charitable monetary donation does not include a taxpayer's time, services, or profit mark-up. For monetary donations over $250, a written acknowledgement from a charity is required and proof of donation (i.e., credit card statement; canceled check, etc.) is recommended. Donations for goods over $5,000 require an appraisal. Gift Appreciated Assets to Children in Lowest Income Tax Brackets: Gifting appreciated assets to children in the lowest two income tax brackets that are not subject to the kiddie tax will be taxed at a 0% capital gains rate. Also, gifting dividend assets to children in lower brackets can provide benefits. Distribute Trust Income to Beneficiaries: With the highest tax bracket hitting trust income as low as $12,000 and the 3.8% net investment income tax being applied at this level, consider distributing trust income to beneficiaries who may be in lower effective tax brackets. Make Nondeductible IRA Contribution, Then Convert: If one is not eligible to contribute to a ROTH IRA, make a nondeductible contribution to a traditional IRA and then convert that contribution to a ROTH IRA. Net Operating Loss Consideration: If you have a net operating loss, consider electing to forgo the NOL carryback period and carry the loss forward to be used at higher tax brackets. Foreclose or Shortsale Principal Residence: Foreclosure or a shortsale of a principal residence can give rise to cancellation of debt income and one of the tools (Mortgage Debt Relief Act) to exclude that income will expire at the end of 2013. CA expired at the end of 2012. However, insolvency, bankruptcy, and nonrecourse loan tools are still available. See prior blog post for a complete discussion. CA New Jobs Credit: For years, California has had a $3,000 credit for each net increase in qualified-full time employees hired during the taxable year for a qualified small business (20 or fewer employees). A qualified employee is an hourly employee who is paid for no less than an average of 35 hours per week or a salary employee who is paid for full-time employment. For small businesses that are growing, this is an amazing credit. I am continually surprised by how many people are unaware of this credit. California Franchise Tax Board has posted a Designated Geographic Area Mapping tool on their website (http://maps.gis.ca.gov/demos/gov/1994/ftbdesign.html). Employers may search specific addresses to see if a location is in the designated area to qualify for the New Employment Credit. Hot off the press! This morning the CA FTB released their bi-annual Top 500 Tax Delinquent List. Since 2007, CA FTB has been publicly shaming the top 500 debtors to encourage them to resolve their accounts. Take a look at the list (you can sort by City) to make sure you're not on it:) Looks like some celebrities have resolved their accounts since the last time the FTB published this list. IRS employees are reduced from 94,516 to 8,752, 9.3% of employees are retained. Employees are not let go, they are furloughed. All audit functions, examination of returns, and processing of non-electronic tax returns that do not include remittances are suspended. Per the IRS, you can assume all IRS examination appointments are canceled. Tax Court trial sessions to begin after October 1, 2013 are canceled. Due dates established by the Tax Court will be extended by the number of days that Court operations are suspended. Taxpayers must continue to comply with the statutory deadlines by timely mailing a petition to the Court, i.e. 90 day statutory deadline to file a petition with the Court to redetermine a deficiency due to a notice of deficiency. Telephone customer service is suspended. The issuance of income tax refunds is suspended. However, they will accept payment and you are required to continue to do so. The IRS will not be responding to paper correspondence during this time. However, automated IRS notices will continue to go out. You must still meet the October 15th deadline to file 2012 personal income tax returns that are on extension, e-file returns will be accepted. Paper returns can be filed, but they will not be processed during this time. The IRS will continue to develop 2013 tax forms and testing of upcoming Filing Year programs. Due to California Senate Bill 30 failing last Friday (September 13, 2013), there is much false information on the web reporting that taxpayers will owe California income tax on lender mortgage forgiveness. The misinformation is portrayed like this: "To heap an unfair tax bill on top of the pain and emotional duress of losing a home is unconscionable," said in a released statement by C.A.R. President Don Faught. "These are real families in real financial need who may well be forced into bankruptcy by an unresponsive legislature.? The above quote is far from the truth and the tax implications on approximately 90% of California foreclosures or short sales (my quick and dirty estimate) will result in zero California tax. Media either likes to scare taxpayers to create discussion or they completely do not understand the California tax law as it relates to foreclosures and short sales. So what was last Friday's failed law really about? If you have net assets (assets less liabilities) by the amount you are upside down on your principal mortgage and you refinanced your property and foreclosed or short sold, then yes you may owe California income tax on the mortgage debt relief. However, as the above quote and others on the internet imply, most families that are foreclosing are in real financial need and are near bankruptcy and for those people there would be no California income tax due on foreclosures and short sales. California income tax would only be due if you foreclosed or short sold your property, are pretty well off as far as net assets, and the property was refinanced. If you are in a bad financial situation, taxes will not be due because more than likely you are insolvent (see below). For those that like detail, let me explain further. Prior to December 31, 2012, if you lived in a home as a principal residence you could exclude the difference between the loan value and fair market value of the residence from your income. Prior to December 31, 2012, you had essentially three tools to exclude cancellation of debt income on a personal residence. 1. Insolvency: On the day before you foreclosed or short sold, if you have liabilities exceeding your assets by the amount of loan forgiveness, you can qualify to exclude the income on loan forgiveness. In this calculation you include all assets (foreclosed home, retirement accounts, jewelry, etc.) and include all liabilities (debt on foreclosed home, credit cards, 401K loan, etc.). You would only use insolvency if the debt is recourse, essentially meaning you refinanced your CA residence. Nearly all of the foreclosures that I have seen (and I have seen a tremendous amount over the last 5 years), result in taxpayers being insolvent. 2. Non Recourse Sale: If the home was purchased to live in, then your loan by default is nonrecourse unless you refinance it. In a nonrecourse short sale, the sales price is the debt at foreclosure less your cost basis (i.e. purchase price). If the result is a loss, then it is a personal loss that is nondeductible. If the result is a gain, you may qualify for Sec. 121 gain exclusion if you lived in the home for 2 out of 5 years. In a nonrecourse example, there is no cancellation of debt income because the property is treated as being sold for the debt. 3. Mortgage Debt Relief Act: If you are not insolvent or not insolvent enough and you refinanced the home, you can use the mortgage debt relief act that came out when the wave of foreclosures started to occur. This relief is basically an option for someone who is not insolvent but does not want a dead asset on their personal balance sheet. This is where there are changes. Current changes, see below. The top 2 methods for getting out of cancellation of debt income for principal residence loan forgiveness still exist today for Federal and CA and will continue to exist. There is no expiration on the top two methods. There is a change to the Mortgage Debt Relief Act. IRS Mortgage Debt Relief Act was initially set to expire December 31, 2012. IRS extended the Mortgage Debt Relief Act until December 31, 2013. For California, their version of Mortgage Debt Relief Act expired on December 31, 2012. A bill was on the floor (California SB 30) to extend the Mortgage Debt Relief beyond December 31, 2012. CA SB 30 failed; therefore, California mortgage debt relief is not available (IRS still is for 2013) for foreclosures or short sales beyond December 31, 2012. Most homeowners foreclosing or short selling a principal residence fall under situation 1 and 2 above and can continue to avoid a tax hit for Federal and CA. Obamacare, It's time to open your eyes! The Affordable Care Act (Obamacare) was signed by President Obama on March 23, 2010, and I know many of you have ignored it until now. For some, you had hopes it would be repealed or it would be found unconstitutional, and others knew they had time before it was actually implemented. The former never happened and the latter is now here. It's time to open your eyes, take your fingers out of your ears, and start figuring out how Obamacare will affect the employer, employee, and country. Things happen at 50 employees: Before a business owner can get a choice, let's define 50 employees. 50 employees are defined as 50 full-time employees (30 hours or more a week) or 50 full-time equivalents (i.e., 100 employees working 15 hours a week is 50 full-time equivalent employees). Independent Contractors do not count, but don't think for a second the IRS will not be looking hard at companies that are pushing individuals to be classified as an Independent Contractor rather than as an employee. Seasonal employees can also impact the calculation. To be even more of a wet blanket, you cannot have several businesses with 49 employees. Companies with common ownership apply a controlled group test to see if all companies are combined for the purpose of the 50 employee test. Lastly, the measure of the 50 employees begins in the 2013 calendar year or a company can use a 2013 six month consecutive period. Offer "affordable" and "minimum value" health insurance to 95% of employees. If only it were this simple. For employers with 50 employees or more, you are offered IRS penalties (I mean "Employer Shared Responsibility Payment") to comply with Obamacare. Employer Penalty #1, No Coverage or less than 95% Coverage: For those employers with 50 employees or more that do not offer health insurance or offer affordable and minimum value to less than 95% of its employees, you pay a $2,000 penalty for each employee (consider entire work force), if at least one employee receives a subsidy in the Exchange (government marketplace to purchase Obamacare insurance). The calculation provides a relief for 30 employees by excluding them from the calculation. Quick Example: You are a restaurant or other low wage employer and you have 100 employees and do not offer health insurance. You simply take your 100 employees less the 30 employee "credit" and multiply by $2,000 to arrive at $140,000 payable to the United States Treasury. Penalties assessed for the 2014 tax year will most likely be due near the end of 2015. If you do offer insurance to 95% percent of your employees, the $2,000 penalty does not apply. If you do offer insurance, but it is not affordable (defined later) to one of your employees and they go to the Exchange and receive a credit/subsidy, you now move to the $3,000 Penalty #2 that is explained below. Employer Penalty #2, Coverage, but not Affordable: Let's assume you offer "affordable" and "minimum value" health insurance (defined soon, I promise) to 95% of your employees and one of your employees for one reason or another, goes to the Exchange to get health insurance (maybe because the Exchange provides a subsidy), you now have a $3,000 penalty per employee that is in the Exchange. The penalty is capped to never exceed what the penalty would have been if you never provided insurance in the first place (i.e., Penalty #1 on workforce). Affordable means the employee's share of the premium for employer provided coverage would cost the employee 9.5% or less of that employee's annual household income. Because the employer would not know the household income, the employer can use a safe harbor. One safe harbor states that health insurance is affordable if the employee premiums do not exceed 9.5% of wages reported in Box 1 of their W2. There are two other safe harbors available, but we won't get into those now. Minimum value is a plan that covers 60% of the total allowed cost of benefits that are expected to be incurred under the plan. The Department of Health and Human Services, as well the IRS, have produced a minimum value calculator. Most plans already meet this 60% threshold, but you could always ask your insurance professional. Unlike employer payments for health insurance premiums, penalties are not deductible. Therefore, numbers really should be run if you are currently not offering insurance to your employees to see if offering insurance is more beneficial than paying the penalty. Any way around all of this? There was an interesting article in the Wall Street Journal on May 20, 2013, entitled "Employers Eye Bare-Bones Health Plans Under New Law." These bare-bones heath plans or skinny plans meet the minimum requirements of Obamacare and, therefore, would avoid a $2,000 penalty on the entire workforce. The article stated that experts estimate premiums to be between $40 and $100 per month for a skinny plan. Employees may still go to the Exchange and receive a subsidy and the employer would face the $3,000 penalty per employee that received a subsidy. Many employers of low-wage retailers and restaurants are betting that even with their employees eligible for subsidies in the Exchange, their employee out of pocket cost in the Exchange will still be too much for the employee to afford. Therefore, there would be no penalty to the employer. Since the government writes the rules as they go, this action may have adverse consequences. Some employers plan to renew their plans late in 2013 due to compliance with some provisions not kicking in until the first renewal after January 1, 2014. An unexpected result of Obamacare is some employers are cutting back hours or holding their workforce under 50 employees. There has been a health care credit offered to small business employers since 2010, but the credit has not helped much. In theory, the credit sounds great, but once the numbers are run, the credit does not amount to much. My company has less than 50 employees, how does this affect me? As far as the penalties explained above, you are exempt. If premiums overall go up, you would see a hit to your bottom line if those increases are not passed along to the employee. There are approximately 18 tax increases (see some of the highlights in the blog below under New 2013 Taxes) or changes that increase revenue that began in 2010 with the final increase or change coming in 2018. These increases do not just affect the "rich", many trickle down to all. Impact to Employee: The employee may bear the burden of higher health insurance premiums if costs go up. If an employee enters the Exchange, there are subsidies available up to approximate income of $45,000 for an individual and $92,000 for a family of four. For the premium payment in an Exchange, you pay a percent of your income depending where you lie in comparison to the poverty line. The range is a premium payment of 2% of your income up to 133% of the poverty line with a maximum premium payment of 9.5% up to 400% above the poverty line. Above 400% of poverty, there are no subsidies available. If you do not have health insurance, the penalty for 2014 is $95 per adult and $47.50 per child with a total cap of the greater of $285 or 1% of income above the filing threshold. The penalties are increased each year to an amount of $695 per adult and $345.50 per child with a total cap of the greater of $2,085 or 2.5% of income above the filing threshold in the year 2016. An individual can be exempt from the penalties if their income is under the threshold to file an income tax return or their out of pocket contribution is more than 8% of their income. Impact to Country: I'm not going there. You'll have to analyze that for yourself. As with many laws, there are positives and negatives. The debate of whether it's good or bad for the country will be proven in due time. That time is rapidly approaching. Courtesy of Spidell Publishing Inc. www.caltax.com. Here is a summary of the provisions included in the bill, which the President is expected to sign. A top rate of 39.6% (up from 35%) will be imposed on individuals making more than $400,000 a year, $425,000 for head of household, and $450,000 for married filing joint. A permanent AMT patch, adjusted for inflation, will be made retroactive to 2012. The maximum capital gains tax will rise from 15% to 20% for individuals taxed at the 39.6% rates (those making $400,000, $425,000, or $450,000 depending on filing status, as noted above). The itemized deduction phase-out is reinstated, and personal exemption phase-out will be reinstated, but with different AGI starting thresholds (adjusted for inflation): $300,000 for married filing joint, $275,000 for head of household, and $250,000 for single. The estate tax regime will continue to provide an inflation-adjusted $5 million exemption (effectively $10 million for married couples) but will be applied at a higher 40% rate (up from 35% in 2012). The $1,000 Child Tax Credit, the enhanced Earned Income Tax Credit, and the enhanced American Opportunity Tax Credit will all be extended through 2017. IRA-to-charity exclusion (plus special provisions allowing transfers made in January 2013 to be treated as made in 2012). The §179 deduction limitation is $500,000 for 2012 and 2013. Taxes, taxes, and more taxes!! In case you've been on a deserted island, there has been a lot of discussion about what the tax environment will look like in 2013. With government debt being as it is, one thing appears to be certain, taxes will not be going down. Congress may make short-term or long-term decisions regarding the 'fiscal cliff' before year-end or they may kick the can down the road a bit further. Let's discuss the new 2013 taxes, 2013 potential tax provision changes, tax planning strategies that may help you survive this mess and, lastly, some comments regarding California taxes. Medicare Health Insurance .9% Tax: Beginning 2013, an additional .9% Medicare HI tax will apply to wages of an employee or earnings of self-employed individuals who have wages or self-employment income in a year that exceeds $200,000 (single) or $250,000 (married). The Medicare HI .9% tax is in addition to the current Social Security Tax and Medicare Tax. For 2013, see potential 2% payroll tax increase discussed below. Net Investment Income 3.8% Tax: Beginning 2013, a 3.8% net investment income tax will be imposed on unearned income such as interest (not tax exempt interest), dividends, capital gains, annuities, royalties, rents, and passive activities. This tax is applied against the lesser of the taxpayer's net investment income or modified adjusted gross income in excess of $200,000 (single) or $250,000 (married). For trusts, this tax begins at the highest tax bracket, which kicks in after $12,000 of trust income. Ouch!! Ordinary Income Tax Rates: If Congress does not act, the brackets will go from 10, 15, 25, 28, 33, and 35% to 15, 15, 28, 31, 36, and 39.6%. This means that everyone's tax liability will increase in 2013 if Congress does not act. Long-term Capital Gains Rate: Currently (2012), the highest four income tax brackets are taxed at 15% for long-term capital gains and the lowest two tax brackets are taxed at 0% for long-term capital gains. If Congress does not act, the 2013 long-term capital gains rates will be 20% (highest 4 brackets) and 10% (lowest 2 brackets). In addition, don't forget to add the 3.8% net investment income tax to those that qualify, which would be a total of 23.8% for long-term capital gains. Payroll Tax 2% Employee Increase: If Congress does not act, the employee portion of Social Security Tax will increase by 2% for a total of 6.2%. There will be no change in the employer portion as they did not receive a temporary 2% relief. If you make $113,700 or less, multiply your wages by 2% and that is the additional amount that will be taken out through your paycheck. Qualified Dividend 15% Rate: If you hold a stock for 61 days prior to a dividend, you qualify for a reduced rate of 15% for dividends received in 2012. If Congress does not act, all 2013 dividends will be taxed at ordinary income tax brackets plus a 3.8% net investment income tax to those that qualify. With someone at the top bracket, qualified dividend rates may go from from 15% to 43.4% (39.6 + 3.8%). Keep in mind that dividend income was already taxed inside the Corporation. This double tax is insane!! Bonus Depreciation and Section 179: For the past few years, taxpayers have been able to accelerate depreciation on fixed assets by using a "bonus depreciation" provision. At times the bonus depreciation was 100% and for 2012 it was at 50%. If Congress does not act, 2013 bonus depreciation will cease and taxpayers will depreciate the asset over the proper life or utilize Sec. 179. However, Section 179 will take its licks as well if Congress does not act. Section 179 expensing limitation for 2012 is $139,000 and it is set to return to $25,000 in 2013. Other Expiring Tax Provisions: If Congress does not act, the following tax provisions will also change in 2013: marriage penalty tax relief, child tax credit decrease from $1,000 to $500 per child, limits on itemized deductions and personal exemptions, state and local general sales tax will expire, additional standard deduction for state and local real estate taxes property taxes will expire, above-the-line deduction for qualified tuition, AMT exemption decrease, R&D tax credit will expire, 15 year depreciation for qualified leasehold improvements will expire, and estate tax exemption would drop to $1 million with the top tax rate at 55%. Realize Capital Gains prior to 2013: At best, 2013 long-term capital gains rates will be equal in 2012, but there is the additional 3.8% net investment income tax. If you can accelerate capital gains into 2012, you may save yourself the increased long-term capital gains rates plus the 3.8% net investment income tax. For installment sales, consider electing out of installment sale treatment and recognizing the entire gain in 2012. Tax considerations are just one aspect to consider in selling a capital asset. You should base your decision to sell a capital asset on economic fundamentals and investment goals as well. Accelerate Income to 2012: Consider accelerating income (bonuses, commissions, nonqualified stock options, etc.) to 2012 to lock in a potential lower rate and to avoid the .9% Medicare HI Tax. Be sure to avoid the additional 20% or more tax on impermissible changes in timing of income. Establish Spouse IRA: For those that qualify, an IRA may be setup for a spouse to contribute deductible contributions up to $5,000 a year. Establish Company Retirement Plan: There are substantial tax benefits to be had in establishing a retirement plan (SEP-IRA, 401K solo, defined benefit, defined contribution, etc.) for your business. There are advantages and disadvantages to all retirement plans. You should discuss these with your financial advisor. Payout Dividends: With the new net investment income tax of 3.8% and the possibility of dividends to be taxed at ordinary rates, paying dividends in 2012 rather than 2013 will reduce the overall tax liability. Accelerate Medical Expenses: For most taxpayers, the threshold for deducting medical expenses is set to increase from 7.5% of AGI to 10% of AGI. Accelerating medical expenses into 2012 may provide more bang for your buck as you will not have the additional 2.5% limitation to overcome. Fund Health Savings Accounts: With medical expenses having a threshold of 7.5% (10% for 2013 for most) of adjusted gross income before they are deductible, a contribution to an HSA is deductible to those that qualify. Purchase Fixed Assets Prior to 2013: As discussed above, bonus depreciation and Section 179 is set to decrease drastically in 2013. If you would like to depreciate eligible large purchases all in one year, you should purchase the items prior to 2013. However, with rates having the potential to increase, depreciation in years of higher rates will save more in tax. If cash flow is an issue, consider financing the equipment. Prepay Next Semester's Tuition: With the American Opportunity Tax Credit set to expire in 2013, a payment made before year-end for the spring semester can be used to calculate the 2012 tax credit. With the cost of tuition, you may have already paid in the max eligible for the credit; review your total amount already paid. 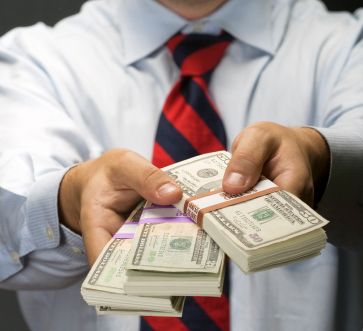 Realize Capital Loss: Capital loss can be used to offset $3,000 a year of ordinary income. Watch out for the 30 day buyback wash sale disallowance rules. Donate Appreciated Assets: If you are considering charitable donations, donate an appreciated asset such as stock and you will receive a deduction on the full FMV and avoid capital gains tax. Deduction is limited to 50% of adjusted gross income, but can be carried forward. Gift Appreciated Assets to Children in Lowest Income Tax Brackets: Gifting appreciated assets to children in the lowest two income tax brackets that are not subject to the kiddie tax will be taxed at a 0% capital gains rate if the sale of those assets occurs in 2012. Also, gifting dividend assets to children in lower brackets can provide benefits for 2012 and 2013. Convert IRAs to Roth IRAs: Converting an IRA to a Roth IRA is a fully taxable event at conversion, but this may be a good move if you believe tax rates are going up. If you don't convert, a future IRA withdrawal will increase your income and possibly make your other income subject to the .9% Medicare HI Tax and 3.8% net investment income tax if the IRA withdrawal pushes you above the adjusted gross income limits. The beauty of a converting an IRA to a ROTH IRA is that you can recharacterize your ROTH IRA back to traditional IRA if the account balance falls, providing a benefit of hindsight. Discuss with your financial advisor. Convert Single Member LLC's to S-Corporations: A single member LLC that currently reports self-employed income on a Schedule C can convert the LLC to an S-Corporation to save on self-employment taxes. Active shareholders of an S-Corporation receive reasonable compensation that is subject to self-employment taxes whereas a single member LLC's entire income is subject to self-employment taxes. With an S-Corporation, self-employment tax would not apply to distributed and undistributed income passing through to the shareholders. Net Operating Loss Consideration: If you have a net operating loss for 2012 and rates rise for 2013, consider electing to forgo the NOL carryback period and carry the loss forward to be used at higher tax brackets. Analyze AMT: The Alternative Minimum Tax was established in 1969 to ensure the very wealthy do not receive tax benefits (state tax deduction, real estate tax deduction, 2% miscellaneous deduction, etc.) that other taxpayers receive, which means certain deductions are added back to their income and a new tax (alternative minimum tax) is derived. This system was not indexed for inflation and over the years the very rich have become the middle class; sound familiar? Analyze your exposure to this additional tax on a multi-year basis and plan around it the best you can. Foreclose or Shortsale Principal Residence in 2012: Foreclosure or a shortsale of a principal residence can give rise to cancellation of debt income and one of the tools (Mortgage Debt Relief Act) to exclude that income will expire at the end of 2012. However, insolvency, bankruptcy, and nonrecourse loan tools will still be available after 2012 to those that qualify. Impact of foreclosure and shortsale of principal residence is a complex area and one should be careful when planning for this event. If you are still hanging on to this blog, let's discuss California for a bit. With the passing of Proposition 30, California income tax increases 1, 2, and 3% retroactive effective January 1, 2012. The tax increases begin at income of $250,000 and the amount of the increase depends on your filing status. 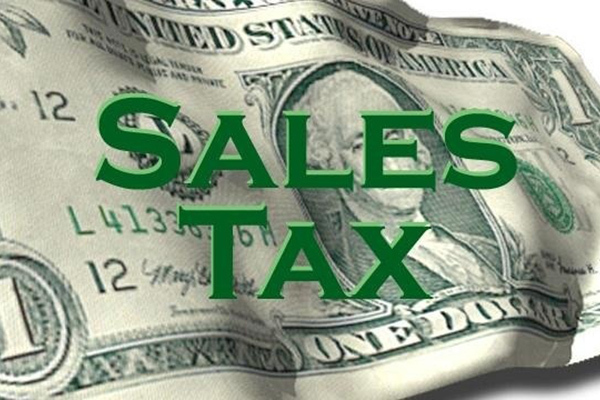 In addition, Proposition 30 increases state sales tax by .25% for four years beginning January 1st 2013. For years, California has a $3,000 credit for each net increase in qualified-full time employees hired during the taxable year for a qualified small business (20 or fewer employees). A qualified employee is an hourly employee who is paid for no less than an average of 35 hours per week or a salary employee who is paid for full-time employment. For small businesses that are growing, this is an amazing credit. I am continually surprised by how many people are unaware of this credit. · Request for additional support for item claimed, i.e. tax credits, stock transactions, etc. · Audits (examinations): Correspondence audit, in-office audit, field exam audit, etc. 2.To stop the exam from spreading to other years, which is best accomplished by achieving goal #1. There are several reasons a tax return may have been flagged for examination, but it does not mean you have been red flagged for life, owe the tax, are going to jail, did something wrong, etc. It only means they would like you to provide support for the area of interest. · &Understand what it is they are requesting before providing miscellaneous information. · Be organized and provide clear documentation (invoices, canceled checks, bank statements). · Do not provide originals; photocopy all documentation provided. · Do not provide a pile of receipts and state, "it's all there." · Ensure you have adequate time to provide documentation. · Do not provide more or less than requested. · Take nothing personal and hold back emotions. · Keep conversations brief and to the point. · Be responsive to deadlines. · Take the proposed assessment home and review it in detail before you sign; recompute the tax. © 2019 Prudhomme Associates, CPAs All Rights Reserved.